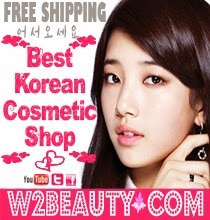 I bought the Banila Co. 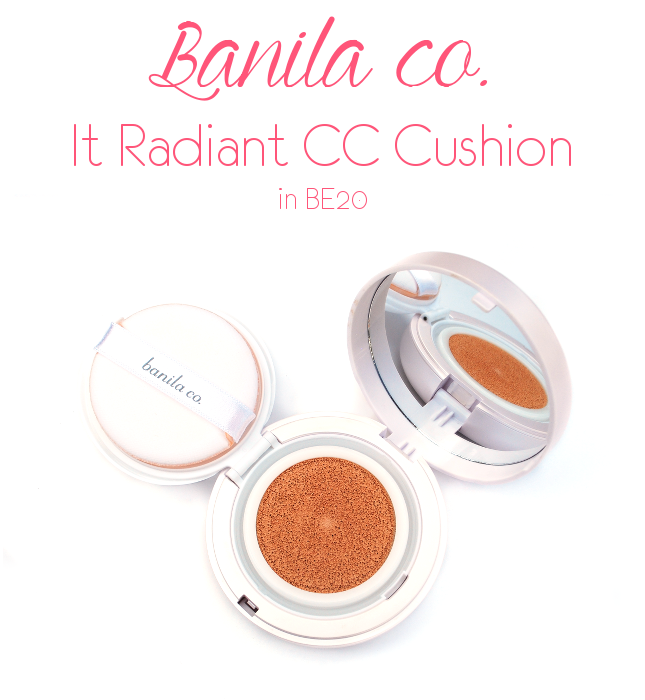 It Radiant CC Cushion back in October, and a few people asked for a review which I promised for, but didn't happen until now. I'm sorry OTL BUT it's better late than never, right? It feels like it's been forever since I reviewed something that wasn't sent to me for review, which I apologize for. I know some people dislike sponsored reviews so thank you for bearing with me the past few months! 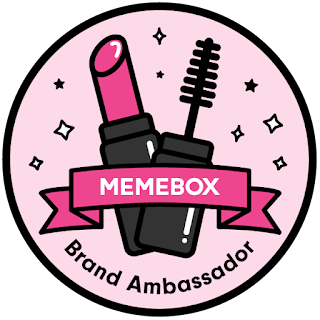 I honestly didn't intend for all my latest reviews to be of sponsored products, but life got busy and the only time I had to review products was for sponsored ones, since those are more of a priority. I promise there will be a better balance between sponsored reviews and not sponsored reviews this year! 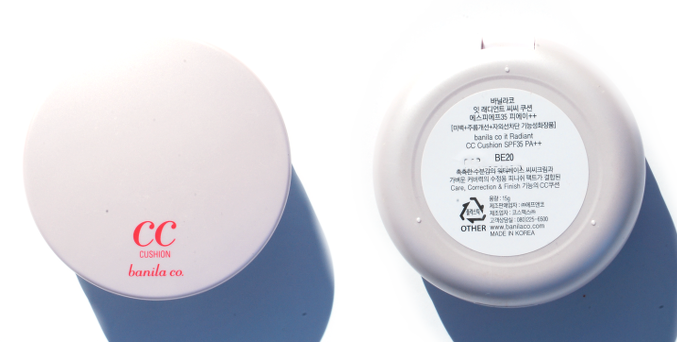 Description: No more oily and greasy oil base cushion! 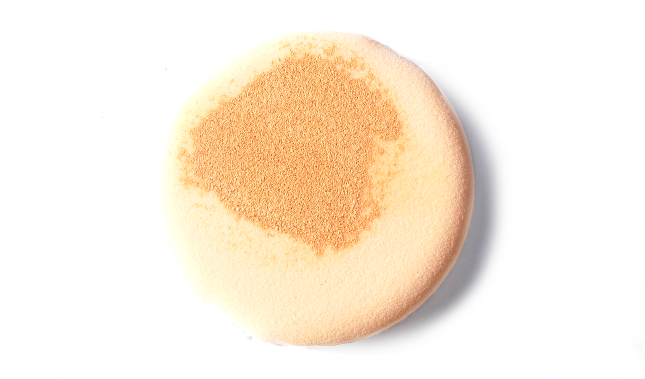 Keep the skin moist with 55% water based cushion! The cushion comes in an ivory-white colored case that has an almost pearly finish. The size isn't bulky and is just right for travel. I would say that this is probably one of the smaller cushion cases, since even Etude House has a larger (not by much) case than this. 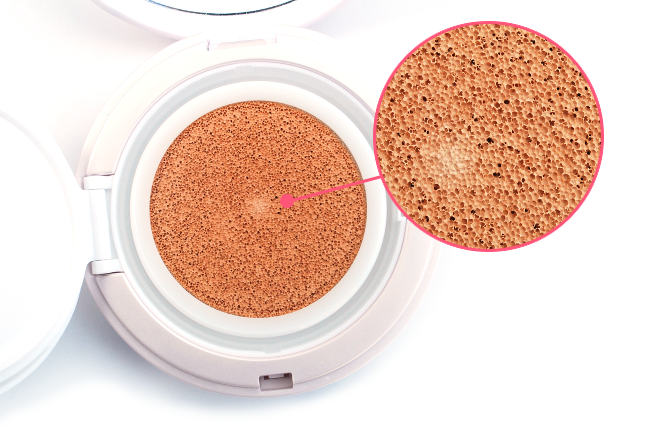 As expected from all makeup cushions, you'll find a puff inside sitting on a piece of plastic that keeps the puff from touching the cushion 24/7. Unlike most air puffs, this one has a beige underside but it's still really soft like all air puffs should be. I have a love-hate relationship with these. While I love the smooth, flawless finish air puffs give, I also really hate cleaning them because they are seriously a pain in the back to clean. =__= And while it'd be great if I never had to clean them, it's necessary because otherwise bacteria will build and grow, which on top of being nasty can lead to breakouts. When you first open the cushion, there will be a sticker on top of it. You can just peel it off (I think it's just telling you to keep the case closed at all times unless you're using it to prevent the cushion from drying out) to reveal the cushion underneath. Sorry if the closeup of the cushion bothers anyone lol As you can see, it's really obvious where the cushion has been pressed down on and where it hasn't. 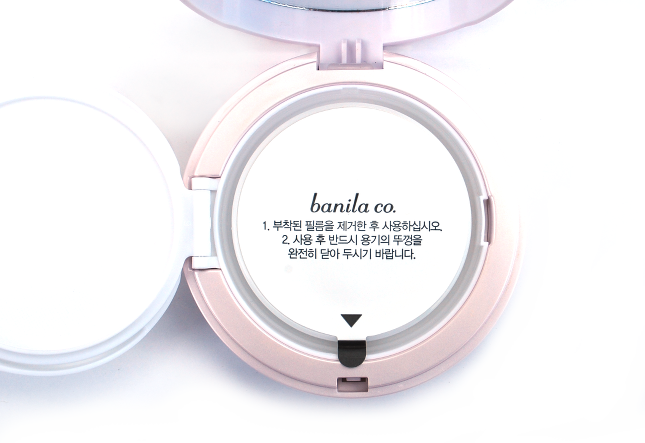 One thing I really like about the design of the Banila Co. CC Cushion is that the cushion is slightly raise so that it's almost level with the outer edges of the case. A lot of other cushions are usually lower than the case, and over time I found that plastic around the cushion will get dirty because of that (especially when you're trying to reach the foundation on the edges of the cushion). If any of you have owned Amore Pacific's brands' cushions before, you'll probably know what I'm talking about. With Banila Co.'s however, I've never had that problem before. 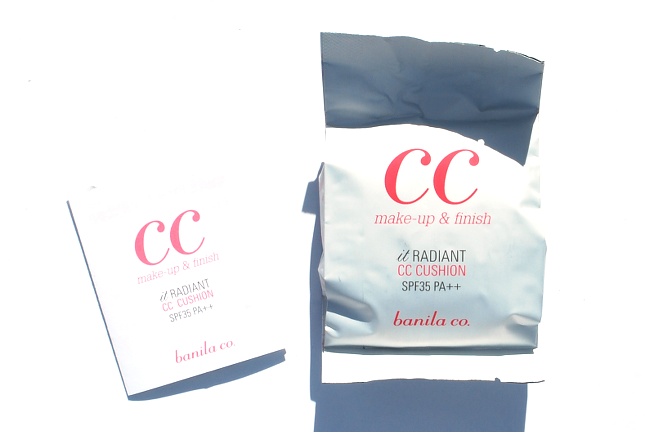 To use the cushion, gently pressed the air puff onto it and pat the CC cream onto your face. Like all cushions, this one also gives a cooling effect when first applied. 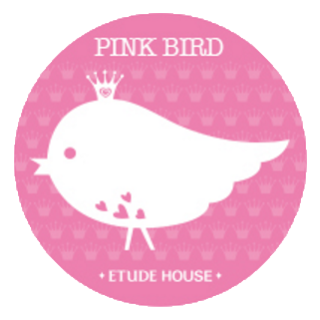 In the past, I sometimes used to just quickly spread the foundation onto my face using the puff when I used other cushions such as the Etude House one (review here) and it would look perfectly fine. But with this one, I found that I actually have to pat it on otherwise the finish will look... off and not that great. But if you just gently pat and press it on, you'll get a flawless, dewy finish. I don't really know how to describe the scent of this. It doesn't have the usual powdery scent like many other cushions and it doesn't have a distinct scent either. It kind of smells like water but a little floral? I'm sorry I'm bad at explaining scents. OTL I don't find it strong but it's not faint either, since you will notice it when you're applying the CC cream. I personally feel neutral about the scent, since I don't dislike it but it's not something I'd want to smell all day either. 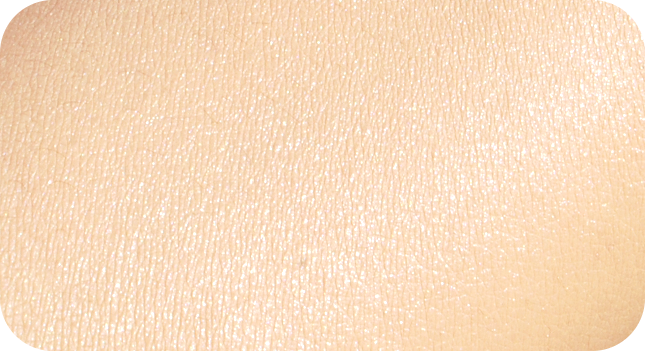 The shade I have, BE20, is perfect for people in the NC25-NC30 range (or natural beige). 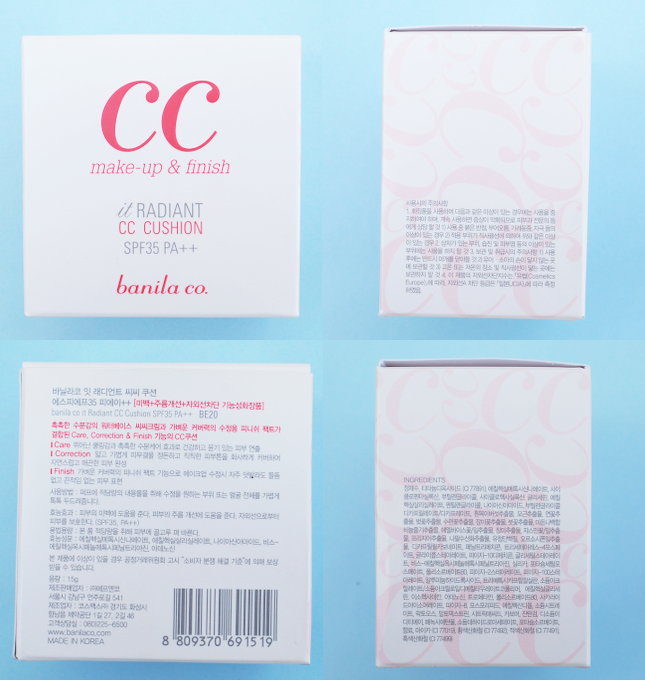 I think it's great that Banila Co. also has a pink-toned shade (BP15) for people with pink undertones since many other brands don't. The finish, as I mentioned before, is dewy. It's moisturizing and very lightweight, so people with dry skin would probably like it since it's not drying nor does it cling to dry patches. I think even people with oily skin can use it because it's 55% water-based and not oil-based. I have an oily T-zone and I found that this doesn't cause my T-zone to get oilier unlike many other base makeup products that provide a dewy finish. Also, a lot of moisturizing bases tend to cause your hair to stick to your face but luckily this one doesn't. 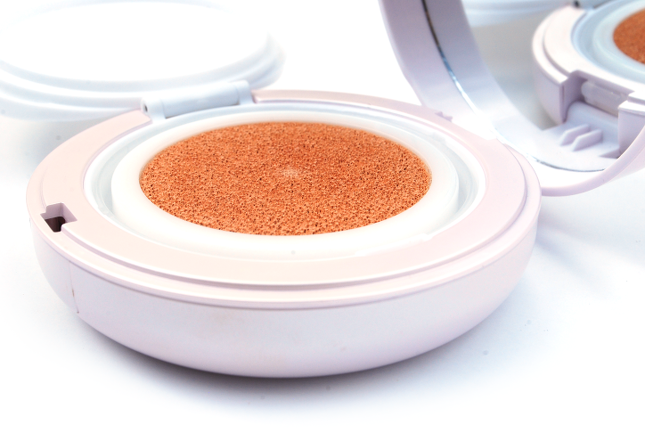 Overall I would say that this is a great cushion for a natural, dewy finish. I personally really like it, and I usually wear it over my concealer since I found that it looks best if you apply concealer first and then this. 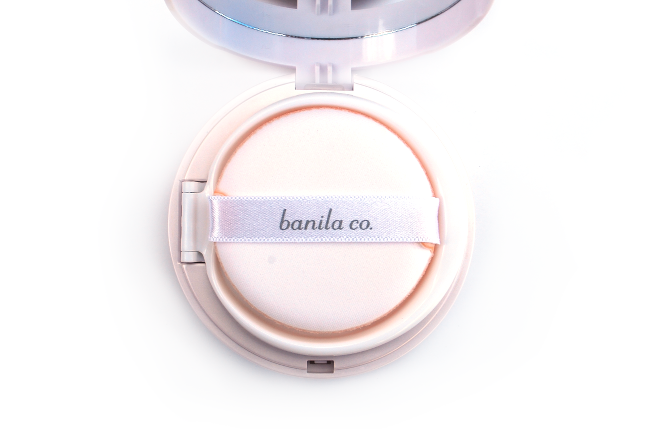 Like Banila Co. claims, the lightweight finish makes it easy for you to re-apply and fix your makeup throughout the day without looking cakey. I'd recommend it to people who are looking for a lightweight and moisturizing makeup base that helps brighten up their overall complexion. However, if you're looking for something that has a matte finish, controls sebum, or provides at least medium coverage, then this isn't for you. Would you guys be interested in trying out this cushion? Do you prefer dewy finishes or matte finishes? Wow it looks really nice, it's a shame if you don't pat it on properly it can look a little off.. but it seems like it'd be a good natural makeup/base for days you don't want to look too done up but still have even a bit of coverage! I tried this lines primer and it, unfortunately, broke me out. Makes me nervous to try the CC cream! I think this would be great for those who need minimal coveral and just want a nice finish. I want to try one of those cushions so bad. I've seen reviews everywhere and I'm so excited to give it a shot. 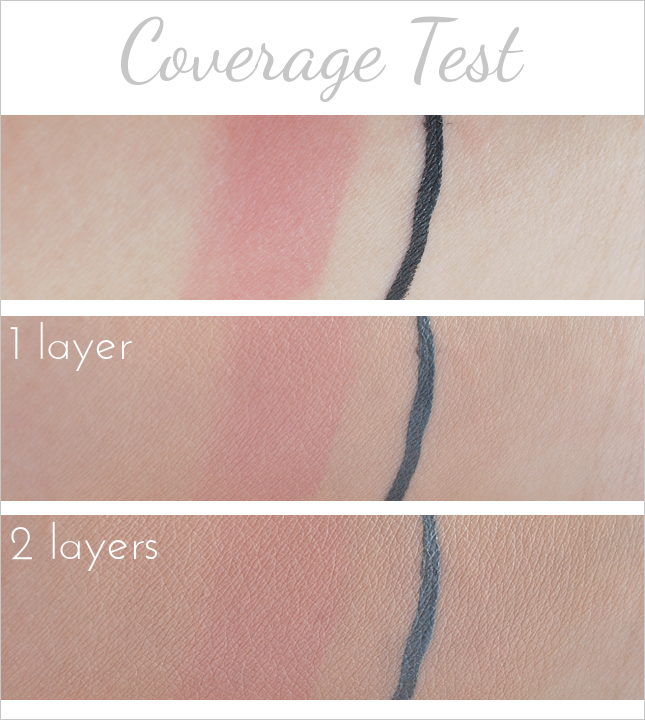 the coverage doesn't look bad since i don't really need high coverage anyways. sounds like a good dewy option for sure and its always nice to know that it doesn't cake up when you add more. Thank you so much dear Claudia! :D I've been a bit behind on blogging lately but I will definitely get to that post ASAP. If you're looking for a dewy, lightweight base then feel free to give this one a try :) I think people who don't need coverage that much would like this. Thanks for reading Jenn! May i know isn't KL hv sell this?